Polish racing driver Robert Kubica will spend at least one whole year recovering from a rally crash he suffered this morning, according to his surgeon. Kubica, who races for Renault Lotus crashed the Skoda Fabia rally car this morning and was airlifted to hospital suffering serious injuries. He has spent many hours in surgery, with rumour speculating around the internet about his condition. However tonight, his surgeon has told reporters that he will spend 5 days in intensive care and will need at least one year to rehabilitate his right hand. His hand shattered in the accident, along with fractures to his right arm and leg. Initially it was suspected the Pole could have his right hand amputated,however surgeons were confident they could save it. His doctor has now said it could take a week to decide if he will regain full functionality. “We have to wait at least a week to see if his hand survives,” Professor Igor Rossello told Italian media, referring to the likelihood of a return to full functionality. He added that it could take a year for the Pole to be able to use his right arm again. Racing drivers from around the world have been quick to send in messages of support, and Fernando Alonso has already flown in to visit Robert in hospital. Michael Schumacher is rumoured to be on his way to visit also. Bruno Senna could well be drafted in to race as Renault Lotus’ spare driver in the short term at least. Whether the team decide to bring in another driver for the season is unknown. 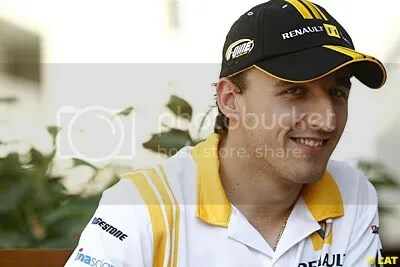 We wish Robert Kubica all the best. Our thoughts and prayers are with him tonight.